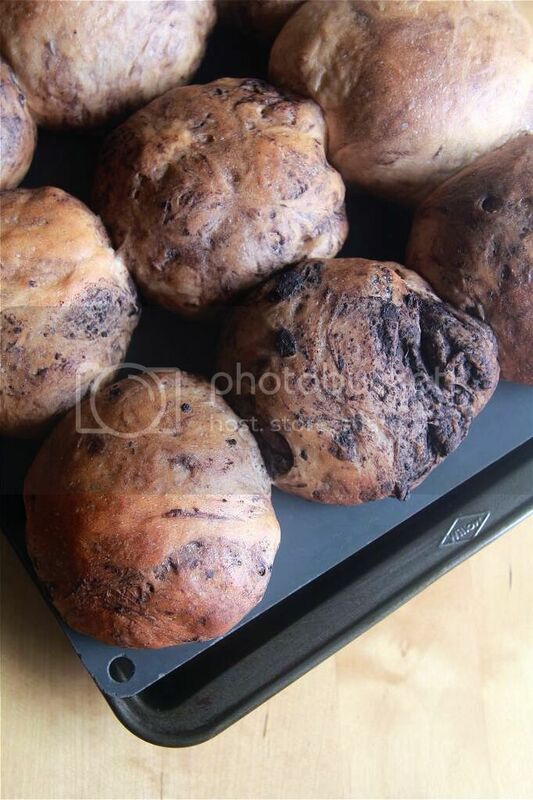 Crumbs and Cookies: milo chocolate peanut butter oreo buns. Nothing much to say today so I shall leave you with a few pictures and a few words. 1. Theses buns are crazy soft and fluffy - you can squish them to half of their original size and they will bounce right back up like inflatable pillows. 2. Milo needs to be upped; god forbid any self-restraint be exercised in the presence of milo (change reflected in the recipe already). 3. Oreo chunks are the new chocolate chips. Me: Hey take that corner one there and tear it. Me: Um, next time try stopping in the midst of tearing it. Try again. And can you eat that one in your hand first. (obviously we have a very asymmetrical power relationship). Me: Okay hold it right there. *snaps multiple pictures* Can you kinda position your hand more naturally? Me: Um that's not very natural. Can you like, angle your hand slightly downwards? Brother: But how is that natural? Me: ... Okay never mind I'll just use what I have and you finish the bread. By the way is it good? Place the flour, milo powder, sugar, salt, egg and yeast into the bowl of a stand mixer and mix. Gradually add the water until a dough forms. Add more water if the dough is too dry. Knead until the dough isn't too sticky and is very elastic (it will pull away from the sides of the bowl). Add the butter and continue to knead the dough until you are able to stretch it thinly without it tearing. Add in the crushed cookies. Cover the dough and let it proof until it has doubled in size, about 1 hour. 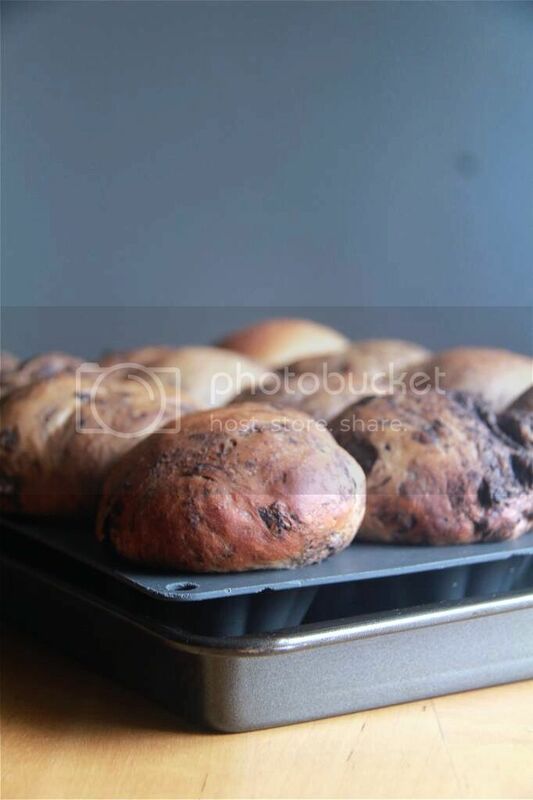 Divide the dough into 14 portions and shape each into a ball. 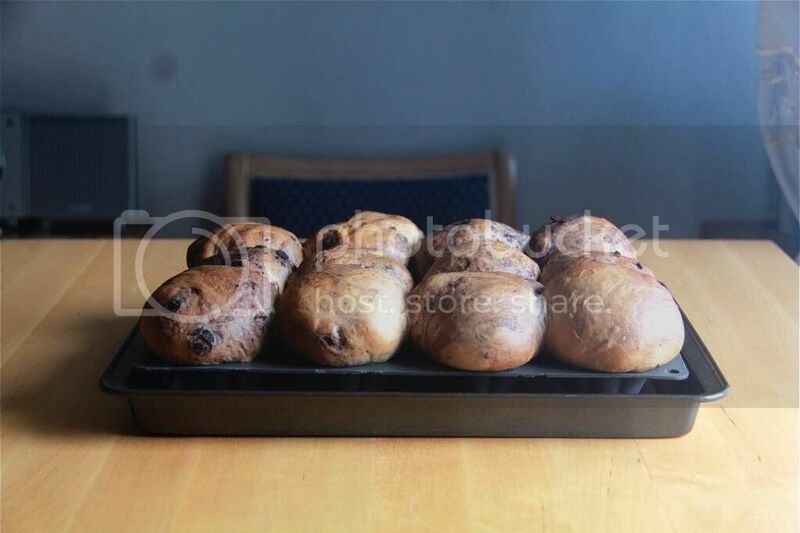 You can choose to bake all of them in the same pan or in individual molds like I have. Remember to butter the pan/mold if you're not using a silicon one! Let the dough proof until nearly doubled in size, about 45 minutes. 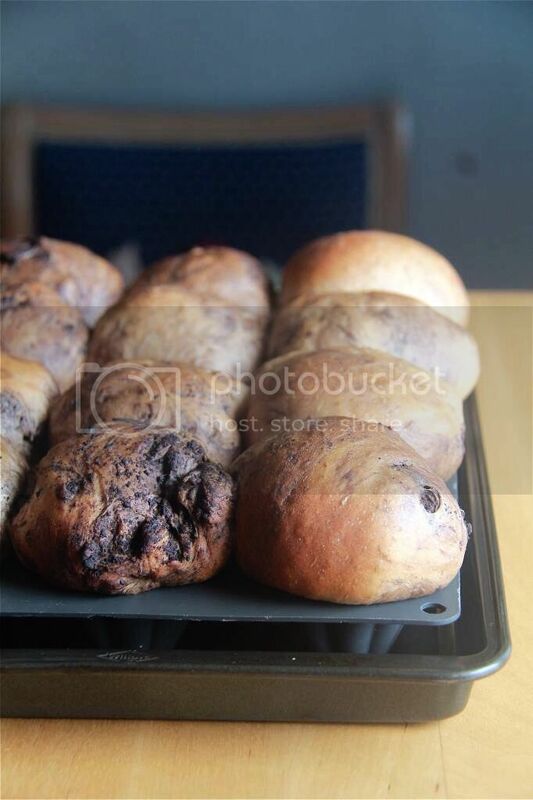 Bake buns at 180C for about 10 minutes or a few minutes longer if you are baking all the buns in the same pan. 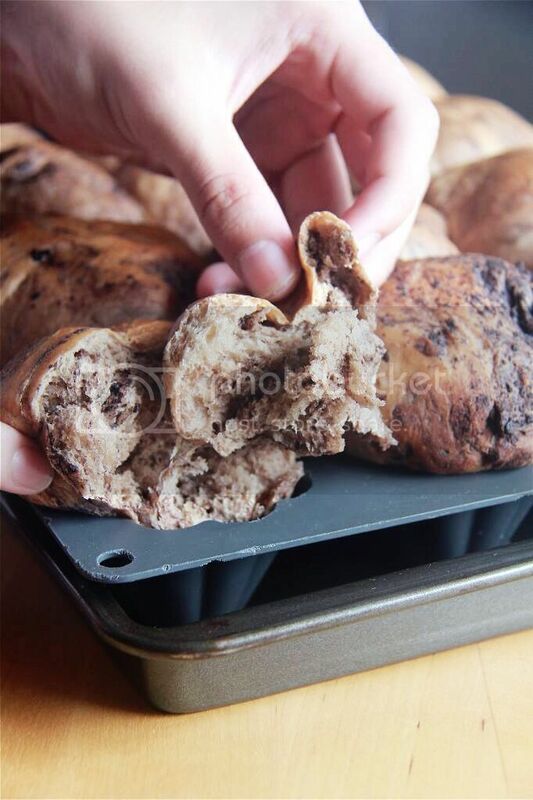 Can i use a loaf tin to make this? Yes you can:) You will have to extend the baking time though. Hi, when do I start adding the Oreo cookies? And if I'm looking to add more milo powder, do I have to reduce the amount of flour? Whoops, sorry for leaving that step out! You can add the cookies in after the step of adding the butter and kneading until the dough is nice and elastic. I think you can just add more milo powder without having to reduce the amount of flour. I hope this helps!